The Sheriff of Nottingham is throwing a big party, and Maid Marian asks Robin Hood if he’ll be attending. She tells Robin she “got an invite” to the party, and at that point I think I mentally checked out of the new Robin Hood. It’s bad enough that people use “invite” as a noun in 2018. But unless this is a Mel Brooks version of ye olde tale, using current slang to tell the Robin Hood story qualifies as an automatic tune-out. The saga of Robin Hood has been around for almost a thousand years, and if it can withstand Kevin Costner’s accent, it can withstand this haphazard new film. The emphasis here is on a youthful Robin, an origin story that shows us how he came to be the legendary robber. Michael Myers has been coming home for decades now, ever since he rampaged through the town of Haddonfield, Ill., in the 1978 horror masterpiece Halloween. The masked killer was supposed to be locked securely within a psychiatric hospital, but he escaped through many sequels and spin-offs. We’re supposed to forget all about those for the new Halloween, which is designed as a direct sequel to the original. (Then why is the new film titled simply Halloween? I worry about these things.) The creepy opening sequence depicts a Michael who’s been safely imprisoned for 40 years. Someone’s had the brilliant idea to transfer him to a new facility, which of course means putting him out into the world, which of course cannot be healthy for the world. The new update of A Star Is Born almost—almost—makes the 1976 Barbra Streisand/Kris Kristofferson version look like a coherent movie. And that, my friends, takes some doing. You know A Star Is Born: fully ripened Hollywood melodrama, usually served with music. A well-established star, struggling with sobriety, romances an unknown talent and watches her career outrun his. Joy holds hands with tragedy, because as somebody once said, love is never as soft as an easy chair. You know the summer movie season is over when people start talking about Melissa McCarthy winning an Oscar for a true-life drama and not about her languishing through a much-derided adult puppet comedy. That’s right—it’s fall. Bring on the earnest biopics about figures as different as Neil Armstrong and Freddie Mercury, and movies about drug addiction and war correspondents. Robert Redford’s acting career ends, Tiffany Haddish’s stardom takes off, and we get a Lady Gaga version of a classic Hollywood tragedy. Of course there are aliens and supervillains too (mixed in with the Oscar bait). The awards contenders often have their release dates shift around, but here’s a sampling of what the landscape looks like from now until the holiday season. 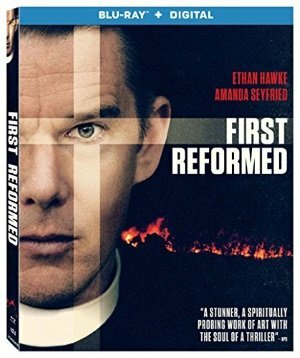 A gaunt and drawn Ethan Hawke stars as Reverend Ernst Toller, a former Army Chaplain who has found his place as the pastor of the tiny First Reformed Church, an historical landmark with a dwindling congregation about to celebrate its 250th anniversary. In denial of an unnamed, possibly fatal affliction and spiking his spare meals with splash or two of whiskey, Toller could be an American answer to the idealistic cleric of Robert Bresson’s Diary of a Country Priest (he even keeps a handwritten journal), embracing the simplicity of faith and the purity of a spare existence after the loss of his family. 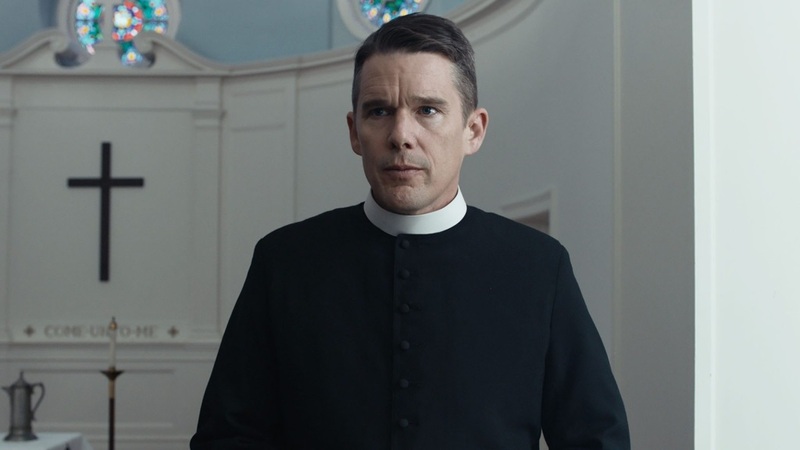 Mary (Amanda Seyfried), a loyal congregant, asks Toller to counsel her unemployed husband Michael (Philip Ettinger), an ecological activist giving in to despair and desperations. When Mary discovers explosives hidden in their garage, seeds of violent action take root in Toller’s mind as he obsesses over images of our polluted and poisoned planet.